Powerful Advantages of working with us. Since 2010, Realogics Sotheby’s International Realty has been successfully marketing some of the most distinctive homes in the region. Our local expertise, global reach and privileged access to the most qualified buyers in the world ensure the homes we represent garner the exposure they deserve. Realogics Sotheby’s International Realty is proud that our esteemed real estate brokers serve as thought leaders within the local community. They live and work in the communities they serve, providing unparalleled expertise and advisement regarding the latest market updates and neighborhood trends, from the straits of the San Juans to Bainbridge Island, through the Sound to Gig Harbor, Seattle, the Eastside and beyond. As the largest Sotheby’s International Realty affiliate in Washington State and one of the top ten brokerages in the Northwest Multiple Listing Service, only RSIR invites leaders from across industries to speak on market trends and partners with local business owners and organizations to build community. Our firm’s agents leverage the brand’s vast global footprint and impressive referral network to open the door to Sotheby’s International Realty offices anywhere in the world. This gives our clients exclusive access to local experts and the white-glove service, whether their next destination is around the corner or around the world. The Sotheby’s International Realty® network is an exclusive association of distinguished residential brokerage companies throughout the world. We represent 41 of the top 250 agents in America, and together, our sales associates garnered an impressive $112 billion in global sales in 2018—and those numbers are growing. We are America’s Most Trusted Residential Real Estate Brokerage* for two years running. 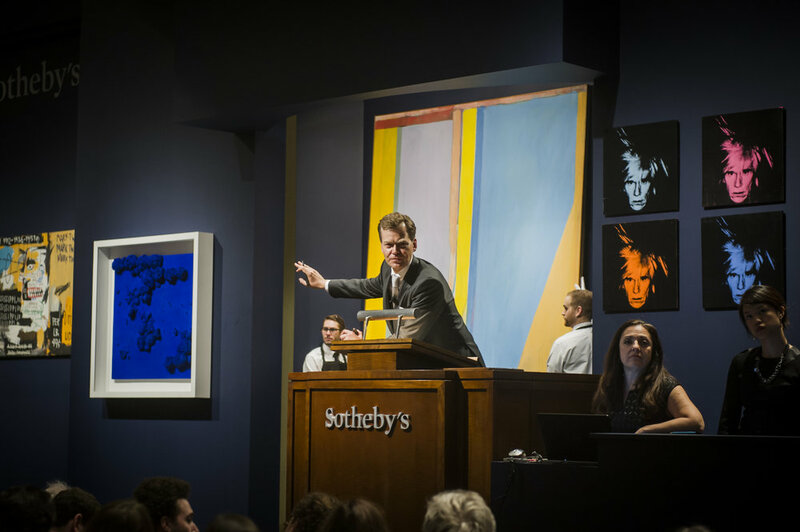 Realogics Sotheby’s International Realty has hosted over a dozen events in coordination with Sotheby’s Auction House, from collection previews of contemporary art and the Nutt Silver Collection to valuation events in jewelry, fine watches and more. These events stand as a tribute to our trusted heritage and our esteemed auction house clients. Our firm’s real estate professionals apply their local expertise to tailor a comprehensive and customized plan for your home that takes all marketing avenues into consideration, from print and digital to public relations, social media and beyond. Realogics Sotheby’s International Realty guides agents in this endeavor with a team of marketing specialists that offer insight and award-winning marketing solutions. Only RSIR offers clients exclusive partnerships with top-tier local publications, including the Puget Sound Business Journal “Home of the Day” and GeekWire “Home of the Week.” Together, these property advertising platforms generate over 1 million unique property page views each year. Featured on Puget Sound Business Journal’s website and afternoon eNewsletter, “Home of the Day” is an exclusive opportunity to showcase your property each month to over 340,000 affluent home buyers with a net worth of over $2.4 million in the Seattle market. Our exclusive media partnership with GeekWire features a real-time voting tool puts consumers in the driver’s seat to select the current “Geek Home of the Week” has more than 2 million unique visitors per month and 27,952 active daily newsletter subscribers are presented with the region’s most extraordinary properties. Realogics Sotheby’s International Realty presents the annual market report providing a comprehensive look at the real estate market in an exploration of seven key counties in Western Washington and 29 deep dives into individual neighborhoods. The report touches on macro-economic trends and the primary demand drivers influencing our regional real estate market, with the additional analysis of micro-markets that very greatly from neighborhood to neighborhood. Every summer, Realogics Sotheby’s International Realty updates RSIRWaterfront.com, examining many different regions and popular waterfront communities in the Puget Sound and Greater Seattle regions, including information on home values, sales trends, and market activity. The report mainly concerns price trends and typical location factors affecting the value of any real estate. A tailored portfolio designed to highlight what makes your home stand out will serve as a centerpiece of print and digital marketing efforts. Each marketing piece will serve the residence and put its distinctive features in the spotlight. Custom-publishing program with Dow Jones Media Group. RESIDE is conceived in the belief that home and living in full are inextricably entwined, RESIDE® is the Sotheby's International Realty brand’s magazine devoted to the finest in inspirational homes and lifestyles worldwide. The only luxury real estate app that serves properties in nearly 70 countries. Featuring high-quality media content, the app brings property searches to life with GPS and a drawing tool to locate homes. A points-of-interest toolbar features lifestyle amenities such as local restaurants, golf courses, resorts and more. With our innovative app, homebuyers can discover Sotheby’s International Realty properties from the comfort of their living rooms. Unique to our app, users can explore our extraordinary offerings via lifestyle and amenities and can highlight properties and recent searches. The Realogics Sotheby’s International Realty team at Sotheby’s International Realty® is founded upon over 100 years of combined experience in marketing world-class properties locally and globally. A tailored selection of representatives is made to reach the right audience for your property. Realogics Sotheby’s International Realty has developed the region’s most dynamic social networks through media partnerships, a distribution of top-producing brokers and the creation of provocative and engaging content. Our ability to create and deploy social media campaigns with targeted hashtags connects us to a broad audience across a variety of relevant platforms such as Facebook, Twitter, Instagram, Pinterest, LinkedIn, and WeChat, among others. A picture may be worth a thousand words but a video lets prospective buyers experience your home in a unique way. Video is a powerful medium. Realogics Sotheby’s International Realty works with top-tier videographers to craft distinctive visual stories that are then shared across a broad range of platforms including RSIR.com, SothebysRealty.com, YouTube, social media and more. The in-house design team at Realogics Sotheby’s International Realty provides all one needs to make a home stand out, starting with property branding and custom copywriting, and continuing into digital and print media campaigns, and beyond. The principals of Realogics Sotheby’s International Realty built a series of showrooms in Kirkland, Bainbridge Island and Madison Park, which serve as galleries that showcase extraordinary homes and lifestyles. Our offices host a variety of community-driven and lifestyle events including monthly art walks and soirees in partnership with Sotheby’s Auction House, which drive further attention to the listings we represent. In 2018, Sotheby’s International Realty Affiliates LLC launched Curate by Sotheby’s International Realty, a mobile augmented reality (AR) app that brings home’s virtual staging images from 2-D perception into augmented reality. Executives of Realogics Sotheby’s International Realty (RSIR) and the network affiliates of TTR Sotheby’s International Realty serving Crystal City, Virginia and the Greater Washington D.C. area; Daniel Gale Sotheby’s International Realty serving Long Island City, Queens and neighboring boroughs on Long Island; and Sotheby’s International Realty operated by NRT serving Manhattan in New York State, collaborated on a website at www.MyHQHome.com. It targets current and future employees of Amazon that might be considering a move to the HQ2 locations of Crystal City, Virginia and Long Island City, New York as well as Seattle area residents that may choose to sell or lease their local home. With a brokerage database of over 10,000 emails and 230 brokers (each with databases containing an average of 300 or more peers), we find unique ways to get your home exposure. We live in a digital age and stay connected through emails, which is why it is important to stay relevant and in front of our audience. At RSIR, we create dynamic emails with rich content, graphic visuals and beautiful homes to keep our subscribers engaged. Globally, our listings have received exclusive opportunities in publications like Dwell, Financial Times, Wall Street Journal, Bloomberg—and that list keeps on going. The Sotheby’s International Realty name opens doors to exceptional properties and, with the assistance of our in-house PR team, captures the attention of journalists at key media outlets. As a result, agents affiliated with Sotheby’s International Realty generate maximum exposure for important listings, reaching qualified buyers around the world. On the local level, Realogics Sotheby’s International Realty has established relationships with a broad range of local media including LUXE magazine, Luxury Homes Magazine, Puget Sound Business Journal, 425 Magazine, Sea Magazine, and the Seattle Times, among others. Our principals are industry thought leaders and are often tapped by the media to give insight on the market. RSIR Joins Harry Chriest to Talk Real Estate on KOMO 1000 Radio's "Own It"
King 5 News Says "Seattle's 'Condo Conundrum' Worse Than Ever"
Mansion Global Reveals the "Secret of the San Juans"
Since 2010, Realogics Sotheby’s International Realty has proudly been responsible for successfully marketing and selling distinctive homes with privileged access to the most qualified buyers in the world. No other local firm is producing more results per broker than RSIR. Our firm sets new standards in sales excellence, from the 2012 sale of the most expensive non-waterfront home sold in King County, to last year’s highest sale ever-recorded in the Northwest Multiple Listing Service, a $26.75 million Medina Waterfront Estate. Drawing upon decades of experience and market-specific knowledge, we collaborate with leading developers, world-renowned architects and interior designers to create the most coveted properties in the marketplace. It comes as no surprise that we have built one of the largest new development marketing teams in the region, which expertly serves clients of all property types through creative marketing, strategy, sales and more. We currently have over $1 Billion in new construction condominium projects alone. custom marketing program for your property. Already working with one of our agents, what's their name? Contact us to learn about career opportunities here.